It’s a whole new ball game as the saying goes. 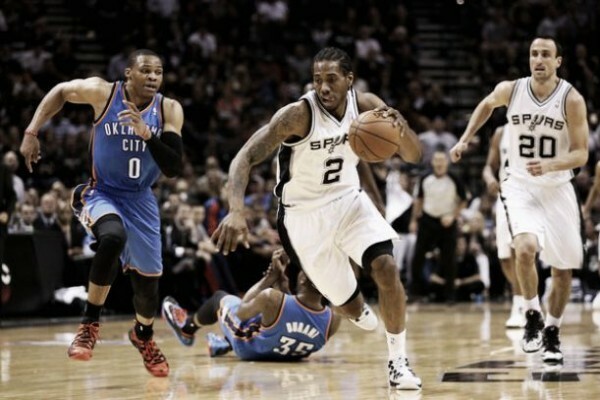 In a series that can be split into before and after the return of Serge Ibaka, we might be entering a new phase as the San Antonio Spurs take a one game lead to play on the road against the Oklahoma City Thunder, feeling they have that defense figured out, which means Kevin Durant and Russell Westbrook need to hope home court gives them enough of a boost in game 6. The Spurs flipped the switch, using Matt Bonner in the lineup, a lot more of Boris Diaw, and giving up on the two true centers approach. It resulted in their best performance of the series, as lanes opened up while the Thunder, always playing as well as their defense allows them to, couldn’t cope with the change. Adjustments isn’t a strong part of Scott Brooks’ game, and it showed once more as Popovich forced him to react. Will the Thunder change lineups again? Maybe have Nick Collison playing instead of Kendrick Perkins? Brooks loves his starting lineup, but it’s about spreading the minutes correctly. 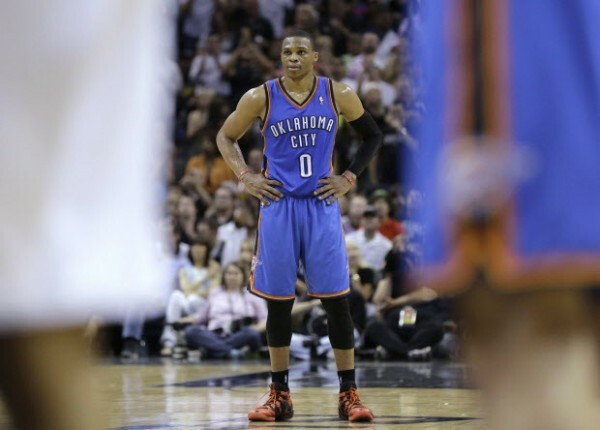 He seemed to have given up on Collison and Thabo Sefolosha for giving him zero offense earlier in the series. Now, knowing that the Ibaka-Perkins-Adams approach isn’t enough against a Spurs team playing differently, he might go back and use one of the two a bit more, instead of looking at his bench and seeing nothing there. It’s always funny to hear Kevin Durant speak after and before games. When he’ll be a head coach, if he’ll be a head coach one day, he won’t be the kind of believes in X’s and O’s. He loves following his own stats, but when it comes to schemes and strategies? He’s all for simple thinking, constantly talking about making shots and playing harder. The Thunder are built that way – one style on defense that usually works and a lot of improvising on offense, relying on his and Westbrook’s talent. The Spurs did a great job of hurting that offensive style. They don’t use help as much, which makes sense with Danny Green and his long arms giving Kevin Durant a lot of trouble, with Kawhi Leonard doing the same on Russell Westbrook. The big key is not letting the Thunder run the floor and blow by defenders which destroys a defense. As long as the Spurs’ offense keeps up the pace and shooting percentages, which didn’t work too well for them in the first two visits to OKC, the Thunder are going to be stuck with a lot of half court offense to deal with. The Thunder rely on less moving parts to make it work. The Spurs need more players to contribute than just a couple, but its a system that breeds spreading success instead of individual brilliance. Things tend to go in the Thunder’s way in OKC, as expected, but maybe the Spurs scheme and chance in approach will be enough to finally slay the dragon’s head by making this game about the coaches and intelligence instead of pure athleticism and scoring ability.